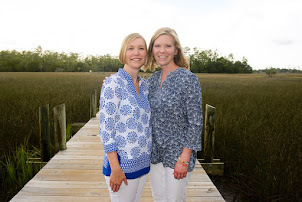 When I was a kid growing up in southern Indiana, my best friend Chrissie and I spent a lot of time together swimming in her above-ground pool, going to cheerleading camps, and having sleepovers (she had a waterbed!). We lost touch with each other when my family moved out of state, but we were reunited a few years ago on Facebook. She commissioned a quilt back in 2012 for her 4th child -- check it out here -- and reached out again earlier this year to commission a quilt for Baby #6. I shared a few pattern options and she chose this one, Modern Crosses from Susan Beal's book Modern Log Cabin Quilting. It's the cover quilt and the reason I bought the book ages ago, so I was happy to have an excuse to finally make it. Chrissie requested a color palette of cream, gold, tan, gray, and teal. I was able to use a lot of fabrics from my stash, which is a satisfying way to keep expenses down. About the back... Even the most experienced quilters make mistakes, and I made a big one when I tried to outsmart the pattern with a tweak that I thought would make the piecing process for the front of the quilt more efficient. Well, I was wrong. I messed up a ton of the cross blocks for the front and lost a couple of days' worth of time and a lot of fabric that I didn't have more of. After I recovered, I decided to try to use those mistake blocks in the back, which I planned to piece with remnants anyway. That explains all the little L blocks, turned this way and that. I still have a stack of them, but they may be too much of a reminder of my folly to ever want to use them again. The quilting is straight lines done with my walking foot -- 2 lines on one diagonal and 1 line on the other. I like the effect, which reminds me a little bit of plaid. It's enough quilting to add texture without distracting too much from the piecing. I put this quilt in the mail to Chrissie and found out the next day that baby Finn had arrived, so it was waiting when they got home from the hospital. I hope it is well-used and well-loved.